With the April 15 tax deadline fast approaching, you probably have questions. Fortunately, USA Today has answers. Every day until April 15, members of the American Institute of Certified Public Accountants have agreed to answer selected tax questions from USA TODAY readers. Q. Can you reinvest a 401(k) withdrawal in a ROTH account and not pay taxes on the money from 401K? A. 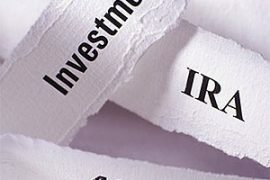 You can reinvest (or convert) a distribution from a 401(k) to a Roth IRA, but you will have to pay taxes on the untaxed amounts — which, in most 401(k) plans, is all of it. The contribution to the Roth must occur within 60 days after you receive the funds (if the distribution check was paid directly to you). 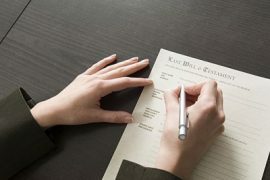 You have the option to ask your financial institution to transfer the funds directly, even if the 401(k) and Roth are held by different trustees. If your financial institution does not withhold on the distribution, you will be required to make estimated tax payments beginning with the first quarter after the conversion. 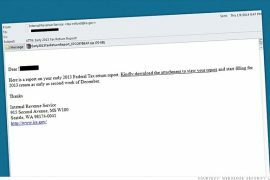 A conversion is reported on IRS Form 8606, and more detailed instructions are available via Publication 590. Q. My wife receives Social Security disability income and my 12-year-old daughter qualifies and receives Social Security dependent income. Do I need to file taxes for my daughter on the income she received from Social Security? A: According to the IRS website, generally, if Social Security benefits were your only income, your benefits are not taxable and you probably do not need to file a federal income tax return. IRS Topic 423, “Social Security and Equivalent Railroad Retirement Benefits,” provides good information about tax rules applying to Social Security benefits. Marc J. Minker, Managing Director & National Practice Leader – Private Client Services, New York, N.Y.
Q. A storm damaged our vacation home. We had three builders look at the damage and all three said that the home was not worth fixing, due to its age and construction. The house was insured for $110,000 and tax valued at more than that. The insurance company would not total the house and paid us $40,000. We had the old house taken down and built a new one for more than the old one was insured for. Can I take the $70,000 difference between the insurance payment and insured value as a storm loss on my taxes? A. You should review the rules in IRS Publication 547, Casualties, Disasters, and Thefts. You calculate your loss starting with your basis in the property, which would generally be the original purchase price of the home plus any significant capital improvements made since purchase. After subtracting the $40,000 reimbursement from that amount, if you still have a loss, there are limitations on what are deductible based on your adjusted gross income in that year. Publication 527 will walk you through that calculation. Jonathan Horn, CPA, New York, N.Y.
Q: I have a limited liability company out of my home. It has not done any business since 2012, and I do not foresee any business or income from it in the near future. Is it OK to keep claiming the deductions (utilities, health insurance, etc.) for it every year, assuming I don’t decide to dissolve the business? A: It is unlikely these are deductible business expenses. The law (IRC §162) states, “There shall be allowed as a deduction all the ordinary and necessary expenses paid or incurred during the taxable year in carrying on any trade or business…” Since there does not appear to be a business being carried on, these amounts would not be deductible as business expenses. Some of the expenses might be deductible as non-business deductions. For example, health Insurance might be deductible as a medical expense, or mortgage interest might be deductible as an itemized deduction. If these costs are related to closing down a business, then some of them may be deductible. However, the deductions related to a home office are generally limited by income and require that the area be used exclusively and regularly as the principal place of business. If the business is closed down, it will be hard to satisfy these criteria. Conrad Davis, partner, Crowe Horwath LLP, Washington, D.C.
Q. I forgot the January 15th estimated tax payment. It appears that we will owe about $5,000 in tax. What should I do? A: At this point, you have two options. It is not too late to make your fourth estimated tax payment by filing Form 1040-ES and submitting payment now. Because the penalty for any underpayment of taxes accrues daily, it is better to make a late payment than no payment at all. 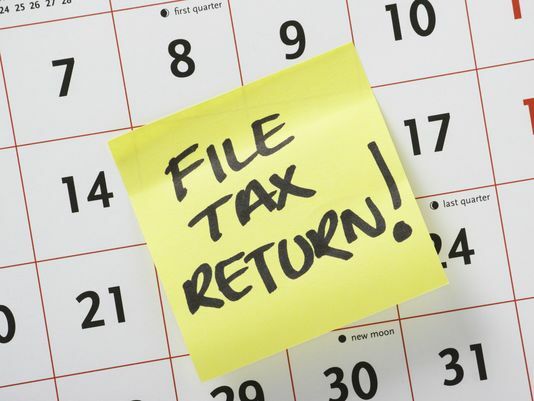 However, if you are prepared to file your Form 1040 and pay your entire tax liability now prior to the April 15 deadline, it is not necessary to make the fourth quarter estimated payment. I emphasize that this requires paying the entire amount of tax owed now, roughly a month early, rather than just the fourth quarter payment. For further information, consult the IRS guidance on estimated tax payments. Ellen D. Cook, MS, CPA, assistant vice president for Academic Affairs at the University of Louisiana at Lafayette answered this question, via the American Institute of Certified Public Accountants. Q. My two daughters (17 and 19) worked in 2013. What would you recommend that I do in terms of filing my taxes? The amounts were $2,500 and $3,300 respectively. Should they file their own tax return or should I include their income in my tax return? A. Your question has two parts, so let’s start with the easy one. Income from work is called “earned income” and earned income from your daughters cannot be included on your tax return. In some situations, a child’s interest and dividend income—which is unearned income—can be reported on the parents’ tax return. Because you cannot report your daughters’ income from work on your tax return, the second question is: Should they file their own tax return? They may or may not be required to file. Even if they don’t have to file, they would want to file anyway if they are due a refund. It is common for teenagers to work a little bit, have taxes withheld from their wages, but owe nothing at tax time. Then, they should file a tax return to claim a refund for the taxes withheld. Such refunds are generally small, so the cost of tax preparation could exceed the refund itself—or leave very little. The IRS website at www.irs.gov has resources called freefile that can help your daughters file a tax return for free. If they are not due a refund, they would want to find out if they are required to file. Assuming you claim your daughters as dependents on your tax return, IRS publication 929 covers the rules applicable to them. It explains that most dependents who only received earned income may not have to file if their 2013 gross income is under $6,100. However, many exceptions apply. An easy way to find out about your daughters’ specific situation is to follow the tax-filing questionnaire on the IRS website. In the search box on top of the page, enter: “Do I need to file a tax return?” Look for the online questionnaire in the results. More tax questions and answers can be found here.